As the summer starts to come to an end, many college kids are preparing for the somewhat hectic move back to school or to school for the first time. This college survival guide will help you make the transition as smooth as possible. Being a college student myself, I was happy to get my mom’s help moving into my dorm last fall. We went to Bed, Bath and Beyond for our supplies. Scan the items you want at your local store, then pick up those items at the closest location to your college campus as part of their Campus & Beyond program. Try moving in a day earlier than your assigned move in date. Dorms sometime give different floors different move-in dates to alleviate the process. Call them or tell the front desk that you are from out of town and just want to drop off a suitcase. Already having your key and a suitcase in your room will help a lot the following day when the real move begins. Plus, you’ll get first dibs on which bed you want before your roommate gets there! Now whether you’re moving into a dorm or an apartment, utilizing the most space as possible is vital. The idea is to think vertically and stay organized. One or two space organizers will make your closet seem twice the size. Bring plenty of duck tape, a good pair of scissors and maybe even a tool kit. This will help you and might even help you make some friends on the floor who are in need of screwdriver. 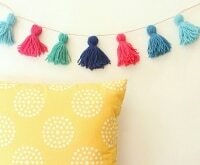 Forget something at home or need more decorations for your dorm? Did you know that your new college email address gets free Amazon Prime for a year? Sign up with your college email address and get free 2-day shipping, which also comes in handy when buying textbooks, replacing all the socks that the laundry room stole or just treating yourself after a rough midterm. 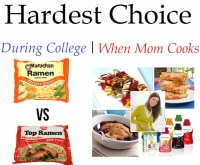 Stock up the dorm mini fridge with the best snacks for your college kid. High protein choices like cliff bars, trail mix and fruit snacks are on-the-go items that are good for your kid–especially if they’re running late to class. Hopefully this will help steer them clear of the dreaded freshman 15! 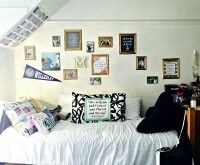 Before you shop: Never say goodbye to your college student in the dorm room. Instead, walk around and enjoy the nice fall weather before hitting the road. Also, research shows that students are shopping for back to school throughout the summer using their mobile devices, so make your kid is equipped with a hand smartphone. 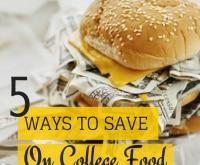 Got any tips to add to this college survival guide? Leave a comment or post on our Facebook page!